Actor David Hasselhoff has driven a sentient car, been ridden like a surfboard and played an instrumental role in the fall of the Berlin Wall. But he’s never gotten into politics. Until now. Hasselhoff is the first mayor of the newly-created Funner, California, christened this month by San Diego-based marketing agency i.d.e.a. 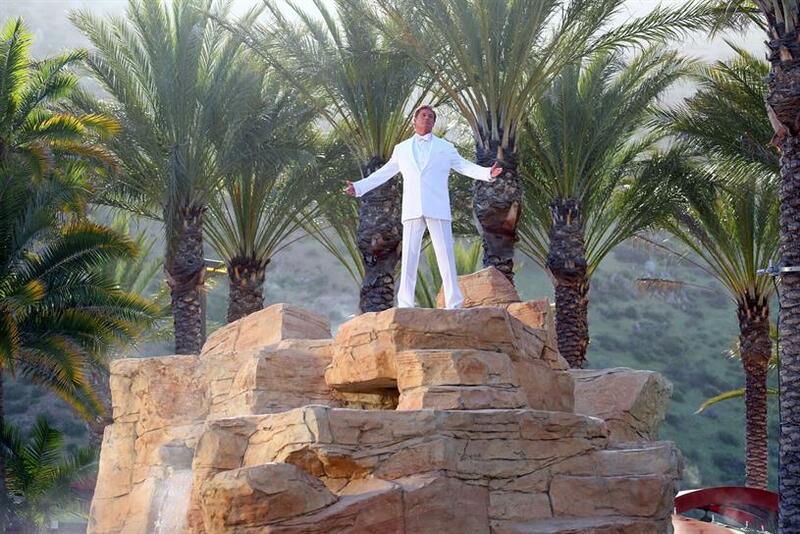 As part of a campaign for the Caesar’s Palace-run casino Harrah's Resort Southern California, the agency led the official renaming of the casino’s grounds—about 30 acres in total—and created a 30-second TV spot featuring Hasselhoff. "Who’s funner than ‘The Hoff’? He’s the quintessential first mayor," said Ryan Berman, founder and chief creative officer of i.d.e.a. While any number of B-list actors would likely have jumped at the chance to serve in public office, the creative team tracked the many projects the 64-year-old Hasselhoff has been working on—rapping in "Guardians of the Galaxy 2," voiceover work in "Call of Duty: Infinite Warfare" and, of course, a cameo in the "Baywatch" reboot—and thought the stunt would pique his interest. Other agencies have been undertaking more serious efforts to rename roads or landmarks, slowly working their way through bureaucratic red tape or creating workarounds to create unique campaigns. But i.d.e.a. was able to take advantage of a shortcut. The casino is owned by the Rincon Band of Luiseño Indians and situated on the Rincon Indian Reservation, 45 miles north of San Diego. A unanimous vote by tribal leadership renamed the land and appointed Hasselhoff mayor. The resort is in Valley Center, California, but since the reservation is a self-governing territory, the tribe can name its land whatever it wants. Harrah’s began working with i.d.e.a. in 2013, and from the beginning, "The strategy had always been about escaping the everyday for ‘Fun,’" Berman said. So when the creative team dreamed up the name change, "Funner" offered a way to extend the campaign and play on its syntactical inaccuracy. "’Funner’ isn’t a word. It’s a place," Berman said. "We don’t want our resort dwellers to simply experience fun. We want them to have "funner." It’s the actual promise of the property." In addition to the TV spot, which is running in Los Angeles, Orange County and Riverside, the campaign includes videos acting out online guest reviews which debut May 22nd. Billboards are up both on and off the reservation, and green mile marker signs have been changed to account for the new name. But if that’s not official enough, the US Postal Service is on board, too. "Yes, you can send mail to Funner, California," Berman said. "And, yes, it will actual arrive."